that it seems to extend from one white, towering cloud to the next." 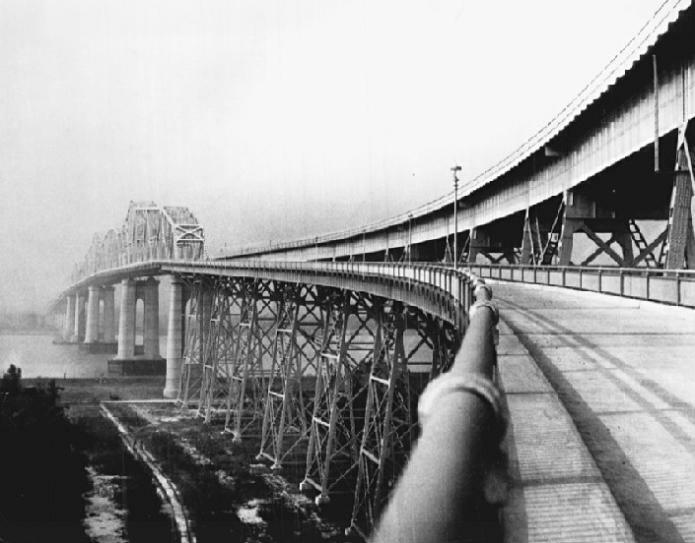 The first train crosses the bridge on the day of its dedication in 1935.
months ago. 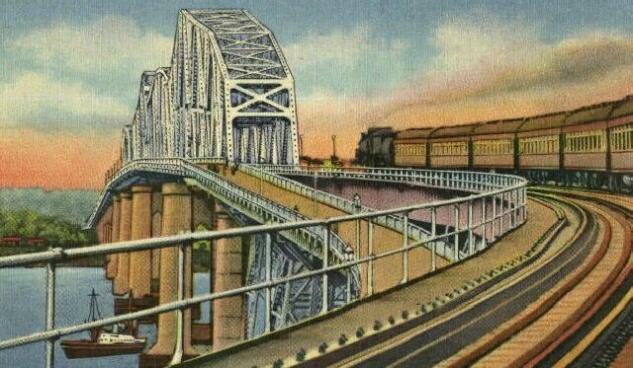 The bridge is one of the longest highway-railway-pedestrian bridges in the world."